I was never a huge fan of eyeshadows up until around a year or two ago. I think back and now realise where I was going wrong - I was always going for cool shades like silver and charcoal which not only do not suit my complexion, but they certainly did not suit my (brown) eye colour. Combined with the fact I had zero application skill, it was just a mess. 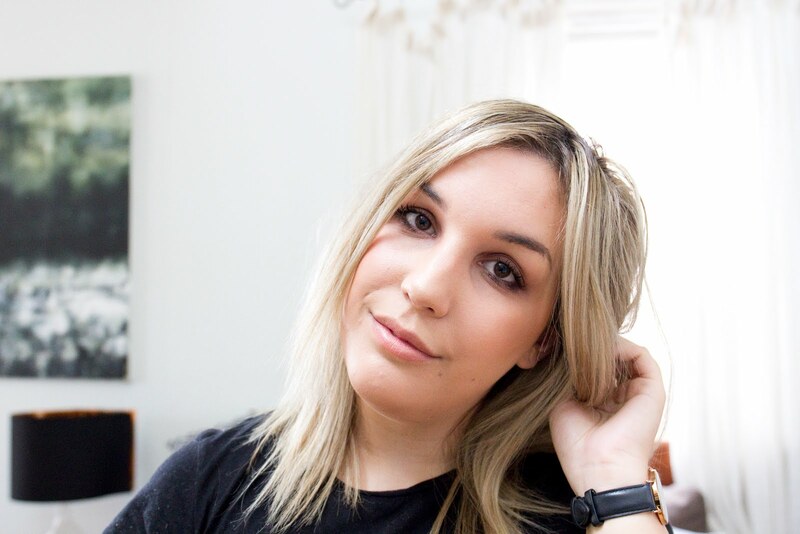 I've definitely warmed up to eyeshadows though (literally, warmed up to much warmer colours) and even though I know there are so many more amazing eyeshadows out there, these are the ones I have tried and tested, and love to bits! I won't go into much detail on this one, but the obvious pick is my MAC Palette, which you can read all about here. You don't need to do much research to know that MAC is an all round favourite for many, and it's for good reason. Their quality is excellent, long wearing and easy to blend, and there is a huge colour range to choose from. Walking into a MAC store is like entering a dream, and I can't wait to pick up more colours for my palette! Another palette I've been loving lately is the Urban Decay Naked 3, which I feel like I talk about all the damn time. I am just so in love with the colours - perfectly rose toned, a selection of both matte and shimmer, great quality. There's just so much you can do with this palette and even though the price is a little steep, I think it's a great investment as it's one of the few palettes where I can see myself using every single shade offered. Most days, I actually just wear a wash of colour on my lids, and I usually turn to a cream eyeshadow for this, purely because they're easy, and they just stay put, all day! My favourite lately has been the MAC Paintpot in 'Constructivist' which is a deep, warm brown that is perfect for a brown smokey eye. I bought it just to use a base for a more dramatic look, but have recently discovered that it also works perfectly on it's own, and I've literally been obsessed with just smudging it all around my eye this past week! My other two picks are blogger favourites, and it's the Maybelline Colour Tattoo Eyeshadows in 'Pomegranate Punk' and 'Bad To The Bronze'. Again, these are one swipe wonders. They don't budge, they don't crease, and the colour payoff is on par with MAC, what more do I need to say? They act as great bases to give a more vivid pigment to other eyeshadows, and work great alone for all sorts of smokey, grungey looks. I can't believe how amazed I am at these little gems, and you can quite often pick them up from Priceline for 20-30% off! Not bad at all, my friends, not bad at all. Sorry if this post seems a bit rushed - I definitely left it too late to write and now I'm literally about to run out the door to have drinks with a friend! I'm so organised, right? Tell me your thoughts on eyeshadows, cream eyeshadows, and your favourite palettes! Do you have a HG status eyeshadow? Yes, yes you do! And then you must share this list with me so I can coerce you into buying probably even more...! :D It's called 'investing' and 'credit cards'. Yes, unfortunately MAC is SO overpriced in Australia, it's hard to build up a collection. I picked up all of my MAC refill pans in the States because they were $11 I think - so cheap compared to like $26 here! 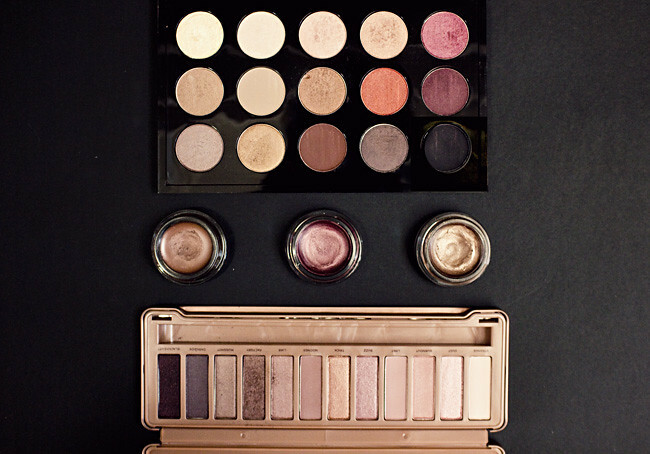 I hope you can get your hands on a few more soon :) And the Naked 3, yes!! Ahhh Naked 3. So beautiful. Hands down, the best palette purchase I've ever made, I just can't get enough of those rosey shades. I've recently done a little bit of a shake up with my own MAC palette. After starting makeup college, I transferred a lot of the colours I didn't use as much to my kit, freeing up my own palette for only my absolute favourites and some space for a couple of new additions. I spotted Cranberry in yours, which I totally have my eye on at the moment though! Gah, I love Cranberry. I've also been loving Sketch and Embark lately, digging those purple tones!